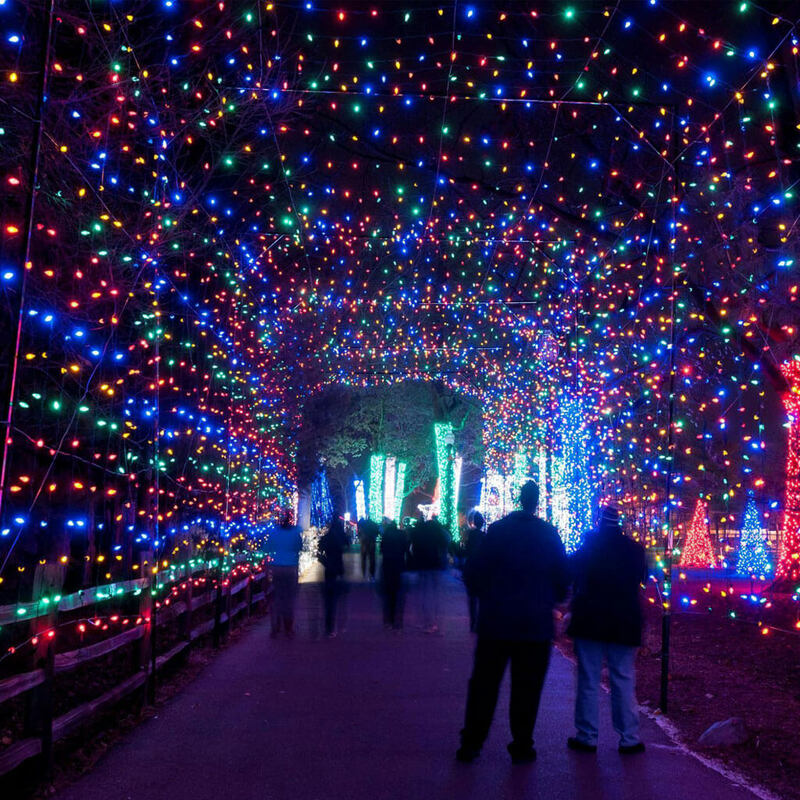 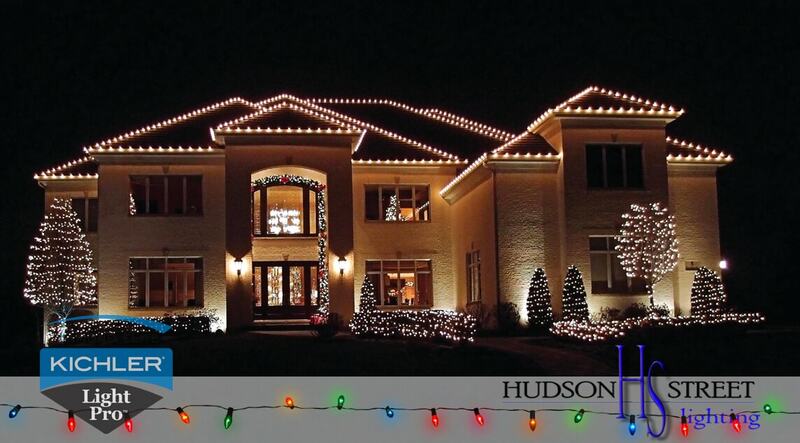 Make a memorable impression this year for holidays or events homes and business light shows. 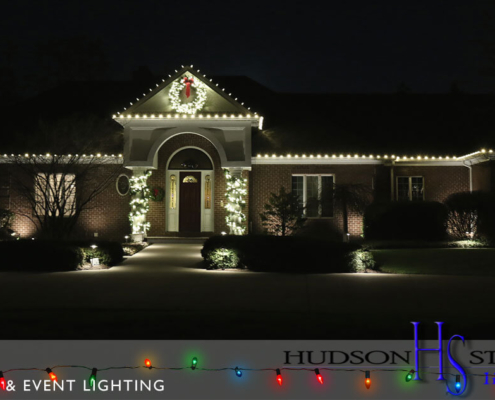 The holiday season is a special time of year that is filled with the warmth of family, friends and memories. 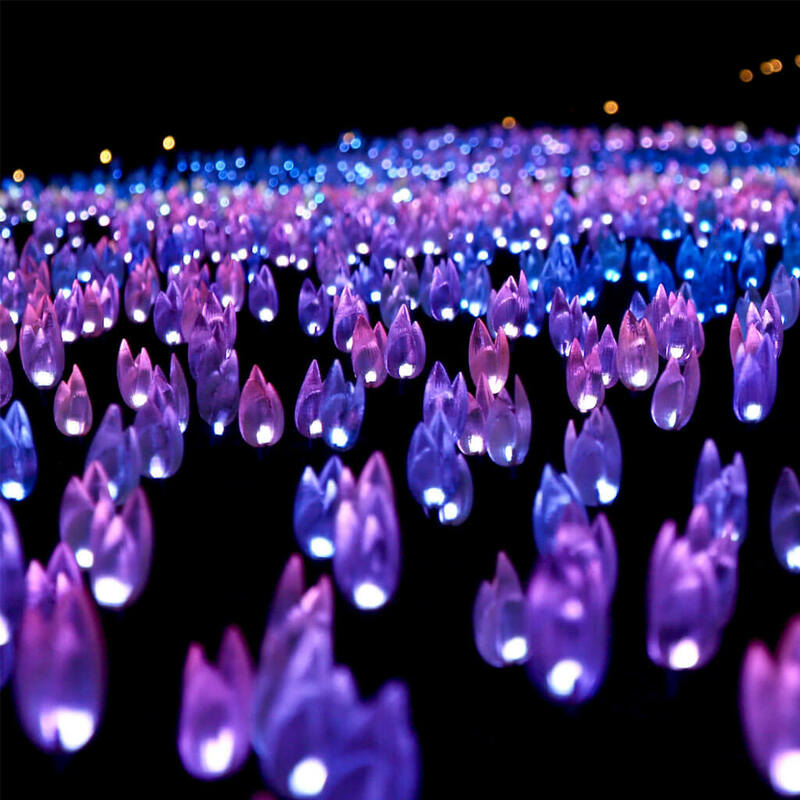 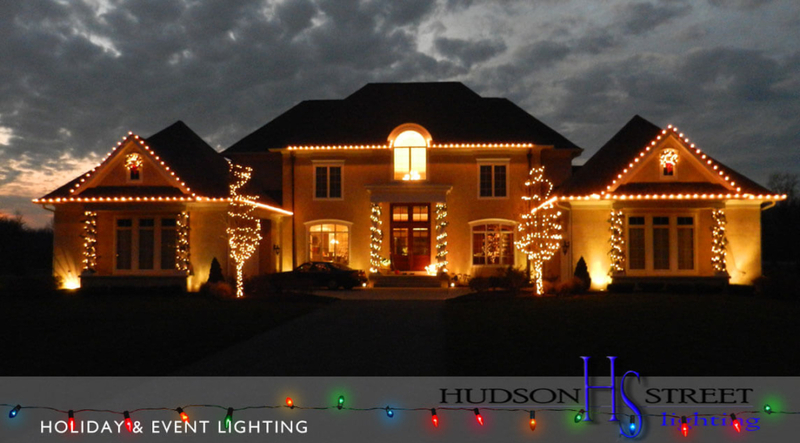 Professional decorative lighting and displays greatly enhance the special experience that comes from this joyous time. 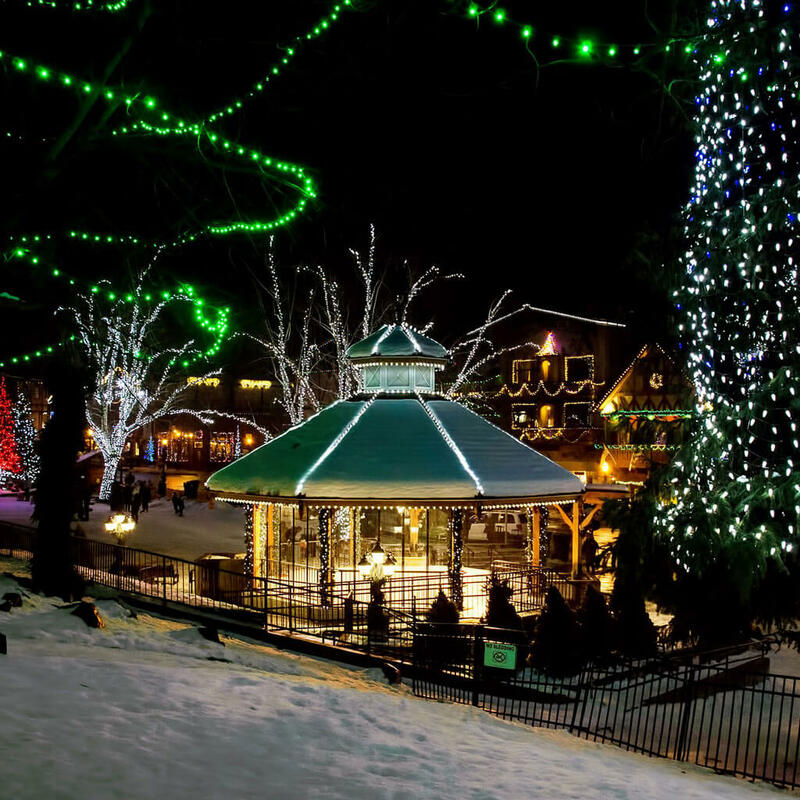 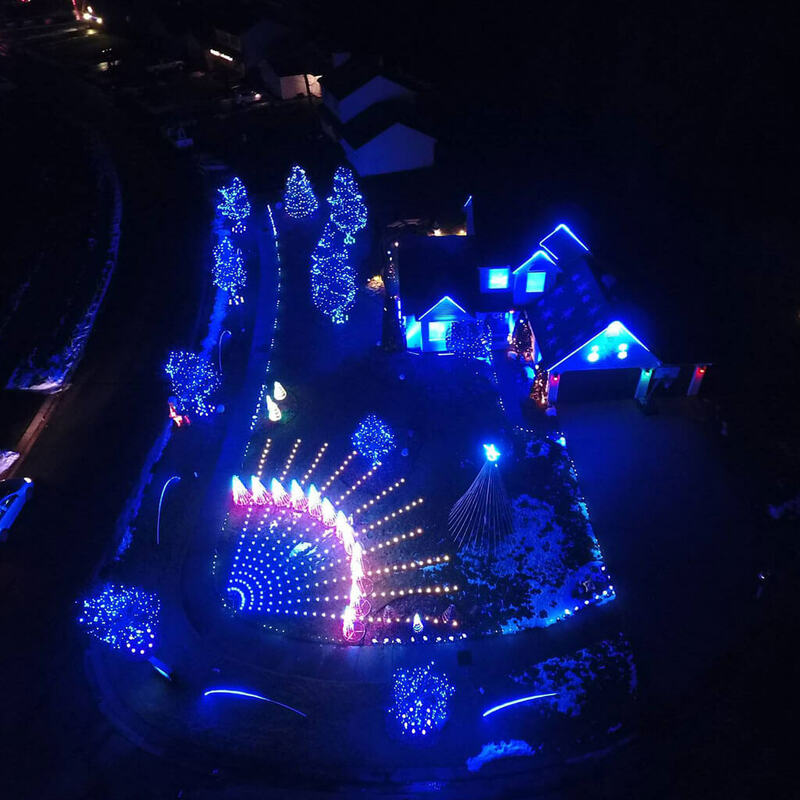 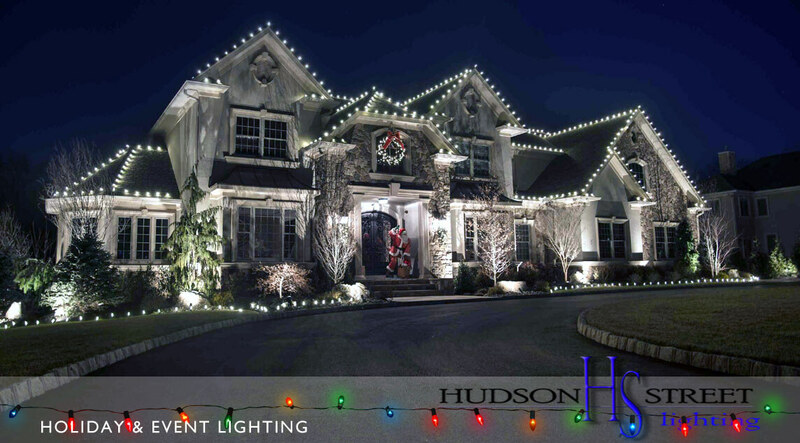 For over 12 years, the professional designers, installers and staff of Hudson Street Lighting have been a part of helping families and businesses create a magical experience for loved ones and clients. 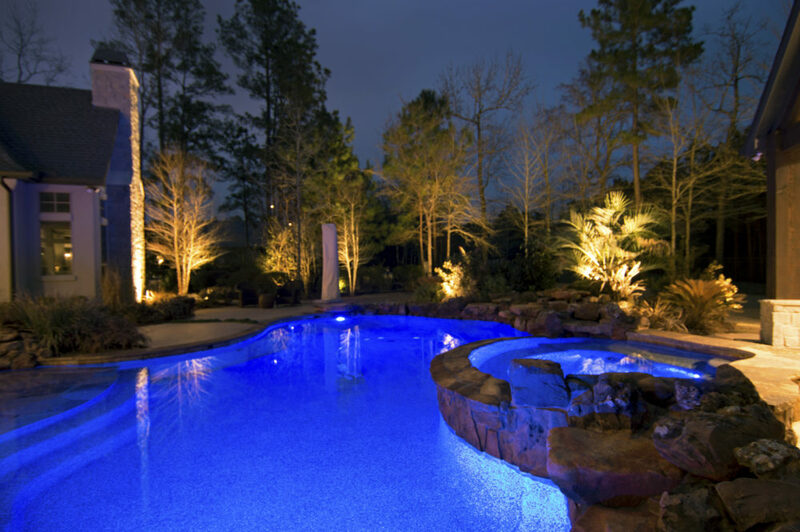 Our highly trained staff can provide the one stop solution, comprehensive service program you are looking for to turn your unique decorating needs into reality. 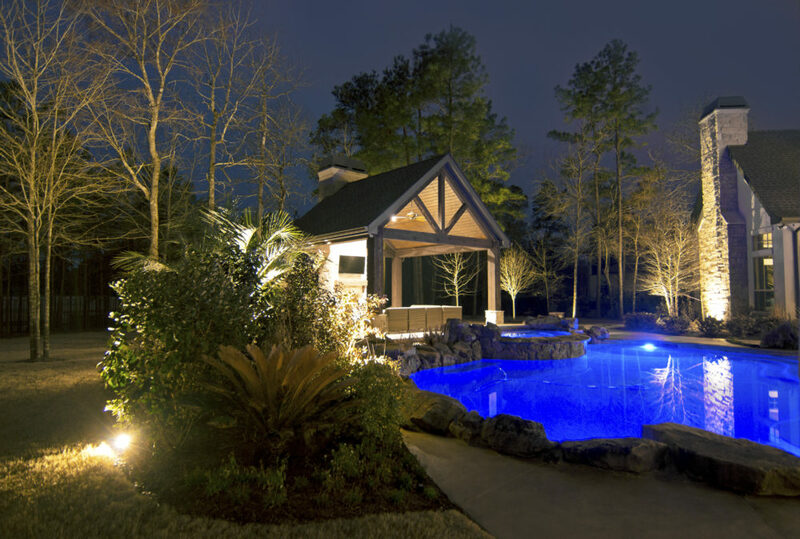 We offer the best in design consultation, installation, maintenance and prompt take down services. 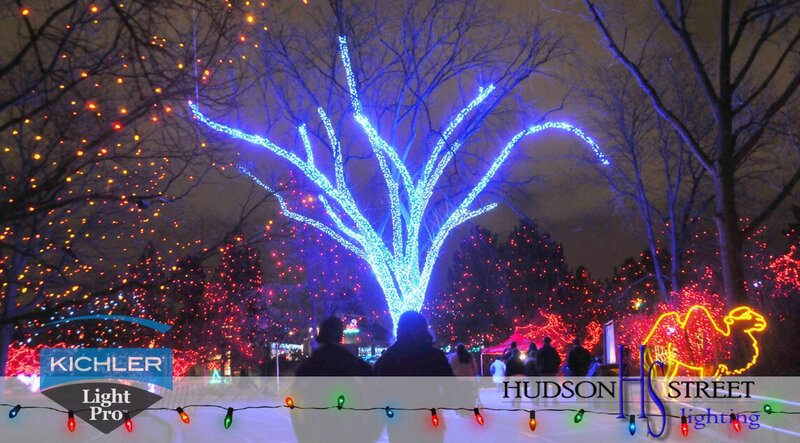 Our team will work with you to design a display concept that will perfectly fit your goals and budget. 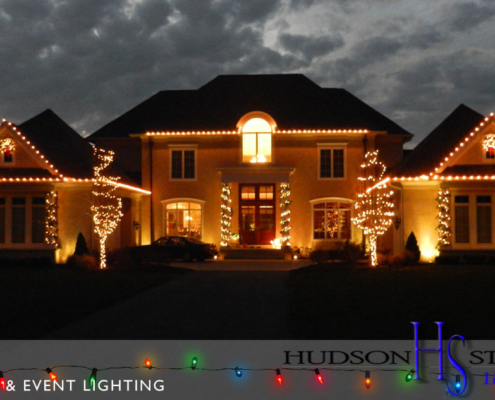 We also specialize in awe-inspiring lighting designs and displays for home or business events, anytime of the year. 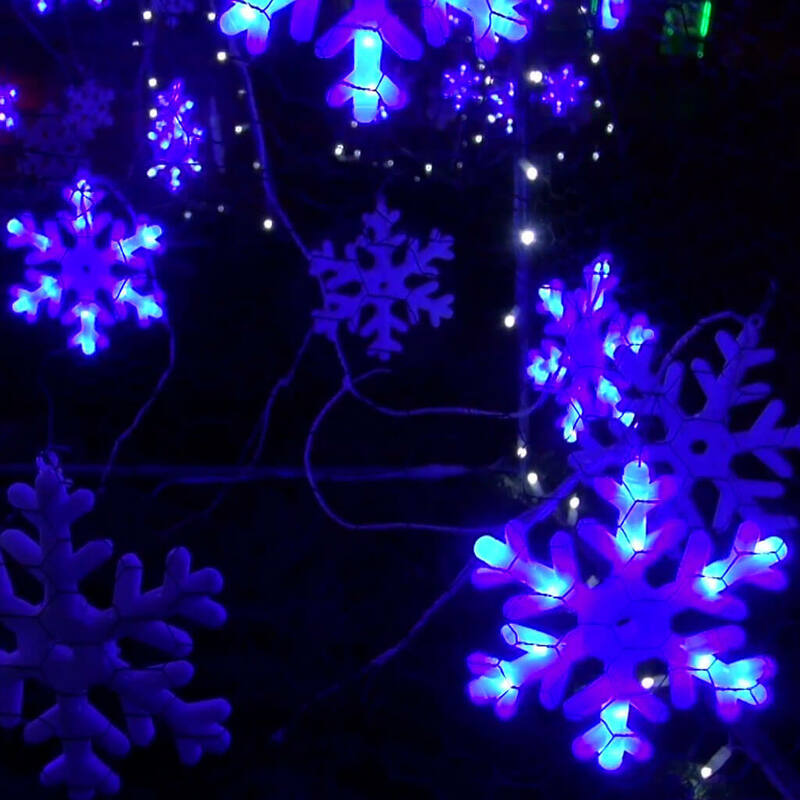 Christmas light and display installation can be stressful. 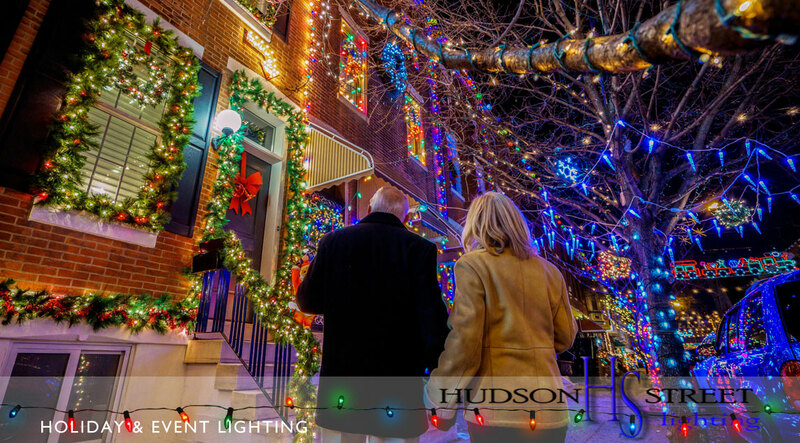 Let us lift that burden so you can enjoy this special time of year with family, friends, and clients. 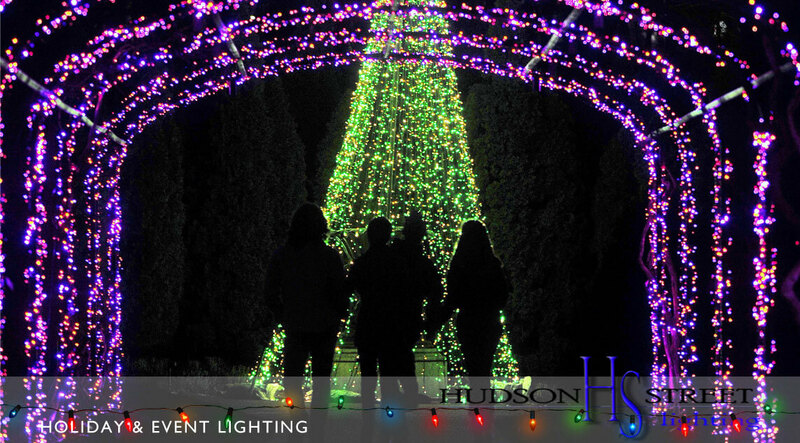 Contact us today to learn more about how we can put some magic into your holiday season! 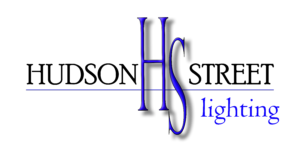 We use our own products to ensure that you are getting the most dependable and professional level equipment available. 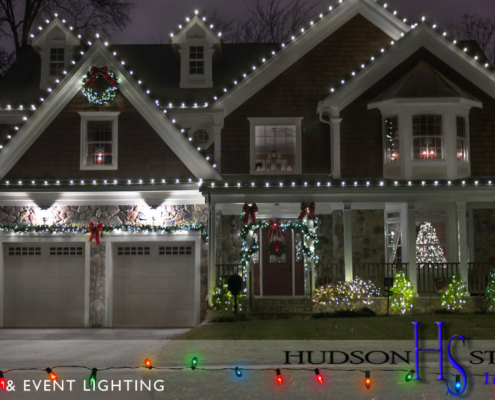 It’s not just homes that greatly benefit from our exciting Christmas lighting and displays. 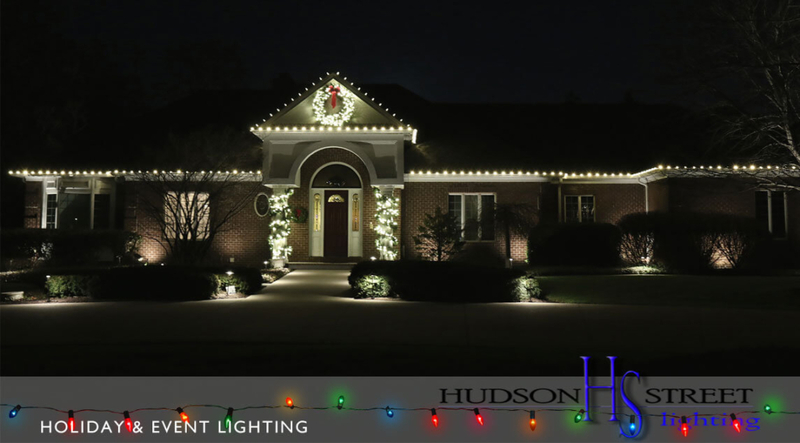 Many of our business clients tell us that our services have contributed significantly to increased traffic, higher sales and happy employees/clients during the holiday season. 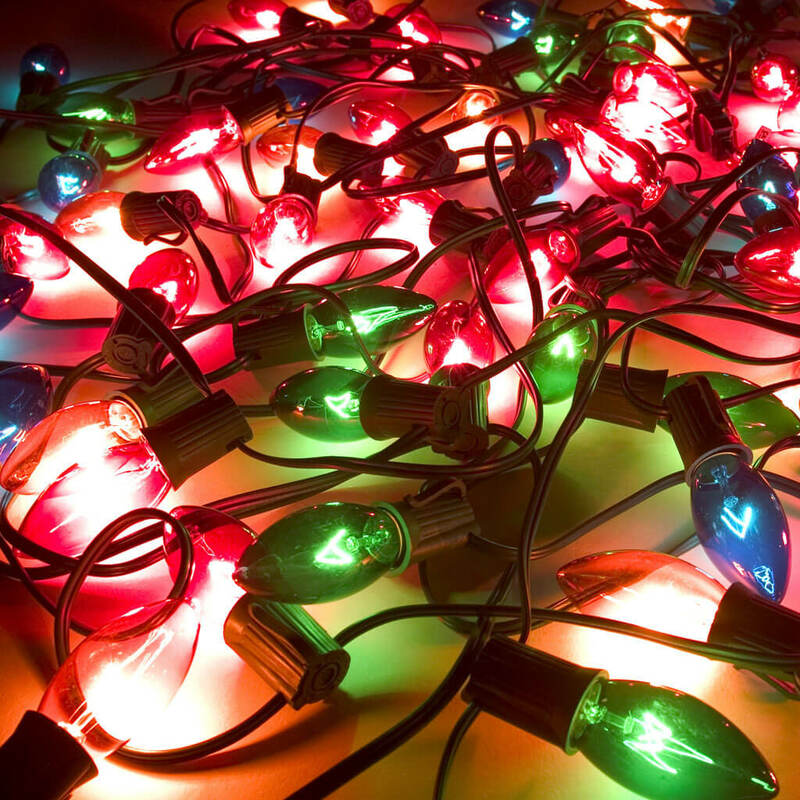 Ready for a Christmas Light Hanging quote? 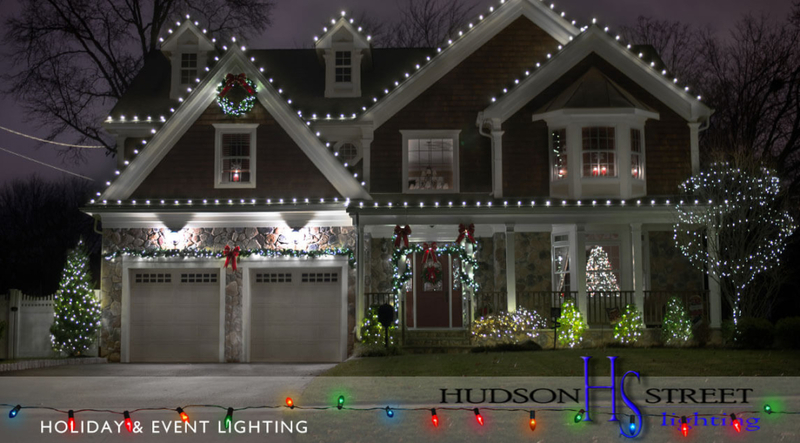 Get in touch today to light up your holidays!